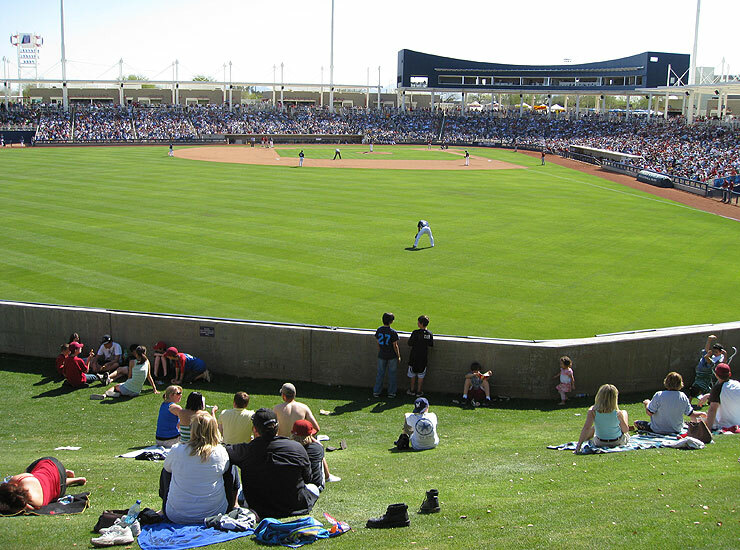 In just thirty days, the Milwaukee Brewers will be taking on the Oakland Athletics at Maryvale Sports Park. Spring training games begin that day, and run through March 30. The final two spring training games will be held at Miller Park, when the Brewers take on The Chicago White Sox. Some folks wait for Opening Day in Milwaukee, while others make the trip to sunny Arizona to check out the Brew Crew, and many other teams. Maryvale spring training tickets are available for most games. The Brewers play 35 spring training games before the big day. Some games are "split squad" affairs, where teams mix upcoming triple-A players with current starters. Heading to the warmth of Phoenix is an annual ritual for some Brewers fans. Heading to Maryvale in the dead of winter to see rookies and minor league players is more about getting some sun, than seeing the top notch baseball. Still, you might find yourself watching the next Ryan Braun.